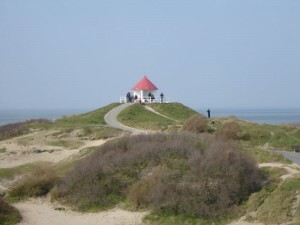 De Haan is the place to be for lovers of recreational walking or cycling. We like to give our guests tips about the best places to go walking and cycling. They can also use our free walking and cycling maps. 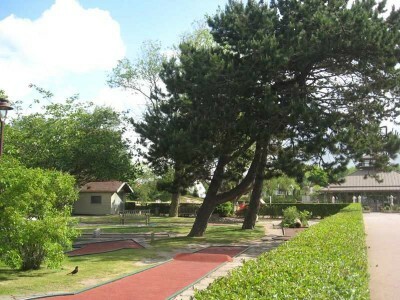 The ‘Concessie’ is the scenic and green suburb of De Haan, full of villas and located between the beach and the tramline. This village scene is a protected area. Thanks to the very stringent building restrictions, the authentic character of the suburb remained as good as untouched. That is why De Haan’s Sea Front is the only sea front along the Belgian coast without any highrise apartments. It is quite possible to lazily walk around in the Concessie’s lanes where there is restricted traffic, or you can simply follow one of the mapped walking trails (see practical info underneath). From De Haan it is possible to walk along the beach for miles in both directions. When you walk east, you reach Wenduine after about 2.5 miles. 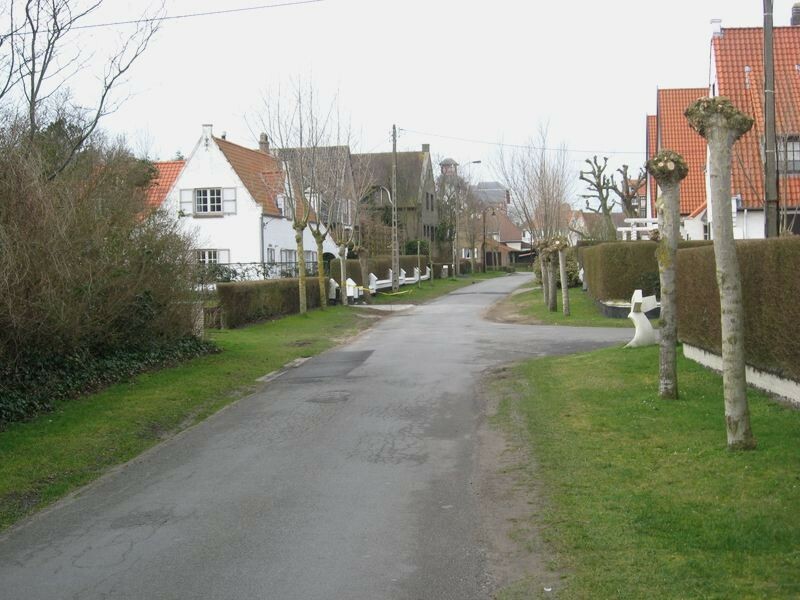 When you walk west, you’ll reach the ‘Vosseslag’ after just over a mile and after 4 miles you’ll be in Bredene. At about 100 to 200 metres from the beach, the coast tram drives parallel to it. This means that if you’re tired or if the weather is inclement, it is always possible to take the tram to do the return journey. 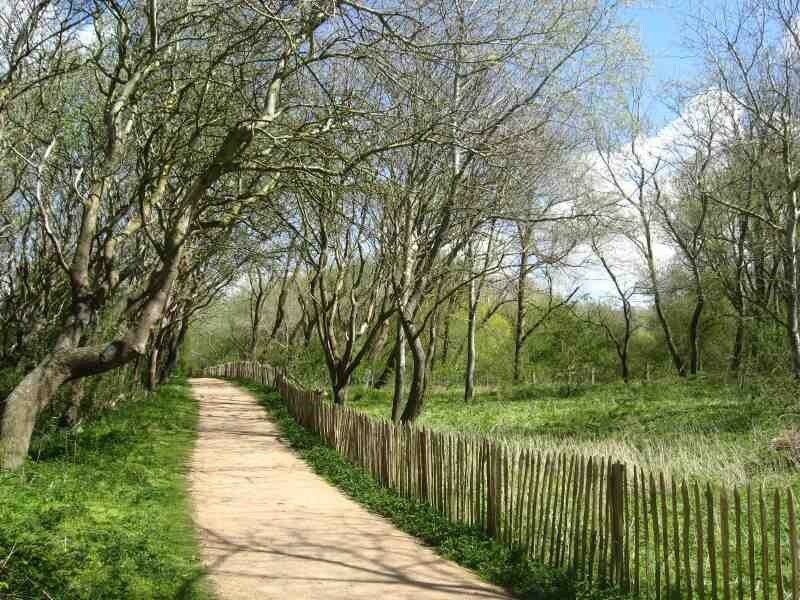 Between De Haan and Wenduine you can also walk through the Duinbossen (+/- 3.5miles). The area around De Haan is completely flat and the network of rural roads is perfect for recreational cycling. We can recommend the Oude Dijken fietsroute (Old Dykes cycling route). That is a signposted route stretching +/- 27 miles, which will take you through the polders and several little hamlets until you reach Oudenburg. Using your cycling card – which we give you to use for free – you can easily shorten or adjust your route. You can buy cycling and walking maps for a few quid from the Tourism Department at the tram station (can be used for free by our guests). The most interesting maps are the ‘Cycle route ‘Oude Dijken’, the walking map ‘Heritage walk De Haan – Belle Epoque midden in de duinen’ (Heritage walking route Belle Epoque in the midst of the dunes) and the brochure ‘Heritage walk – In the wake of Einstein’. Tip for beach walkers: during windy days it is of course, mainly because of the windblown sand, always nicer to have tailwind when walking. The main wind direction along the beach is westerly, which is good because that gives you the opportunity to walk to Wenduine with tailwind. The return trip can then be done either using the coast tram or via the Duinbossen. At about 200 metres from hotel De Gouden Haan there are two quality, highly reliable shops where you can hire cycles all year round. 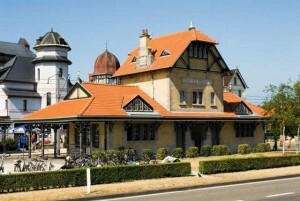 De Haan itself has many high quality restaurants, pubs, tearooms and cafes. Underneath you can find a list of a few of our personal favourites. The information folder in your room contains a more exhaustive list. These restaurants have also professionals in the kitchen and serve their customers fresh, healthy and tasty dishes. There are way too many to list them all here, but good service is guaranteed at these locations. They all have outside seating, too. 8420 De Haan Coffee and teabar. Excellent coffee, tea, drinks, homemade cakes, fresh soup. The best coffee in De Haan! 8420 De Haan Coffee, drinks, cakes, smoothies. Extensive choice of sandwiches and paninis. 8420 De Haan Best tearoom on the Zeedijk (sea front) – Pastas and salads too. 8420 De Haan Drinks, tapas and brasserie dishes. A nice place! 8421 De Haan Tearoom, many beers and other drinks, pastas, salads. 8420 De Haan Tearoom, pastas, salads. Trendy! 8420 De Haan Tearoom, pastas, also brasserie dishes. A selection of interesting links. Click on the link to go and visit the website in question. The tourism website of the council, which includes a calendar of activities and all sorts of practical information (shops, markets, parking places etc). 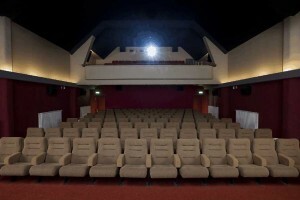 Our beautifully refurbished local cinema in the De Haan’s town centre (with balcony! ), which offers its customers a high quality and varied film programme. A nice art gallery which is definitely worth your while. Regularly changing range of beautiful works. Access is free. The website/blog of photographer Koen De Langhe. It includes a back catalogue of more than 4,000 recent pictures of Belgian landscapes, cities, hamlets, nature and points of interest. 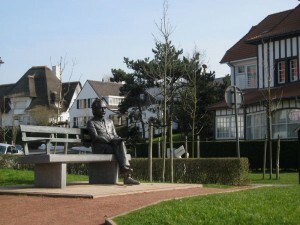 The park La Potinière (2.2 ha) is located next to the hotel De Gouden Haan. It contains tennis courts, mini-golf, sunbathing lawns, 2 play areas, petanque court and a pavilion with pub and outside seating area. Rumour has it that many inhabitants of De Haan are very intelligent. Maybe that is because Albert Einstein left traces of his genius in De Haan, way back in 1933. In the Normandiëlaan you can stand next to his statue. Maybe this will have positive effects on you too? Wenduine is also a coastal town and twinned with De Haan. It is definitely worth a visit. Wenduine can easily be reached from De Haan by either taking the tram, bicycle or by taking a walk of +/- 3.5 miles via the beach or the Duinbossen. Wenduine is full of interesting shops and relaxing pubs. 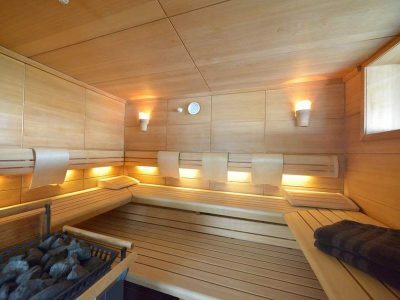 Private wellness with sauna, lounge, Turkish bath and outdoor Jacuzzi with terrace. Very cared for. Highly recommended to relax! Only by appointment. A selection of interesting links which can bring you inspiration for trips, activities, etc. All year round Bruges receives visitors from all over the world. It is located about 10 miles from De Haan and has become what it is today because of its rich history dating back several centuries. The crowning glory of its history is its award of Unesco’s World Heritage City. Whether you’re visiting museums, soaking up culture, shopping or just having a stroll: Bruges is always worth a visit. Everything is only a stone’s throw apart within the old city centre. After a period of serious decay, the ‘Queen of Coastal Towns’ has retransformed itself and is again a dynamic and clean coastal town. The coastal tram De Kusttram takes you to right in the centre of Ostend, at only 8 miles or so from De Haan. Options galore here also: museums, culture, shopping, pubs, restaurants and hotels, walking along the sea front or the ‘Visserskaai’ (fishermen’s quay). Sluis is only a small town, but it is very vibrant. It is just across the border in the Netherlands (distance to De Haan is about 25 miles). Sluis has numerous shops, restaurants and tearooms which are all open 7 days a week. To visit Sluis for a day equals relaxing and enjoying a historic place. There is also plenty of opportunity for long walks. 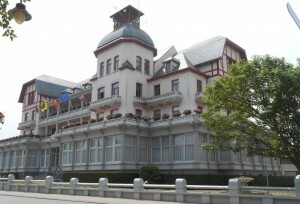 Westtoer is the organisation for tourism and recreation in West-Flanders. We provide tourists with loads of information about events, points of interest and activities in the area. We also offer our visitors a webshop webshop (with maps and brochures) and some digital apps. A website for tourists, specifically about the Belgian coast: practical information, events, points of interest and activities. All locations along the coast can easily be reached by car or tram. Ostend, Knokke and Nieuwpoort are top of the list for trips. 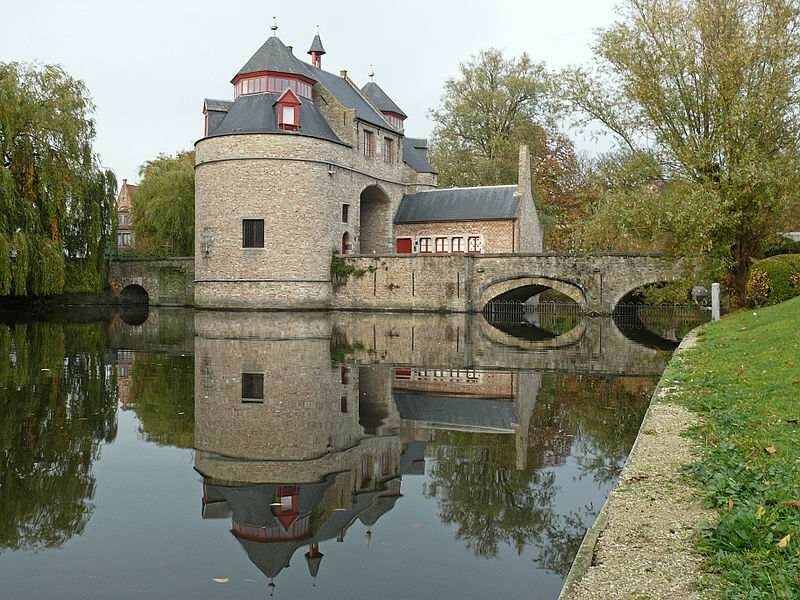 Website about Bruges and its surroundings for our tourists. 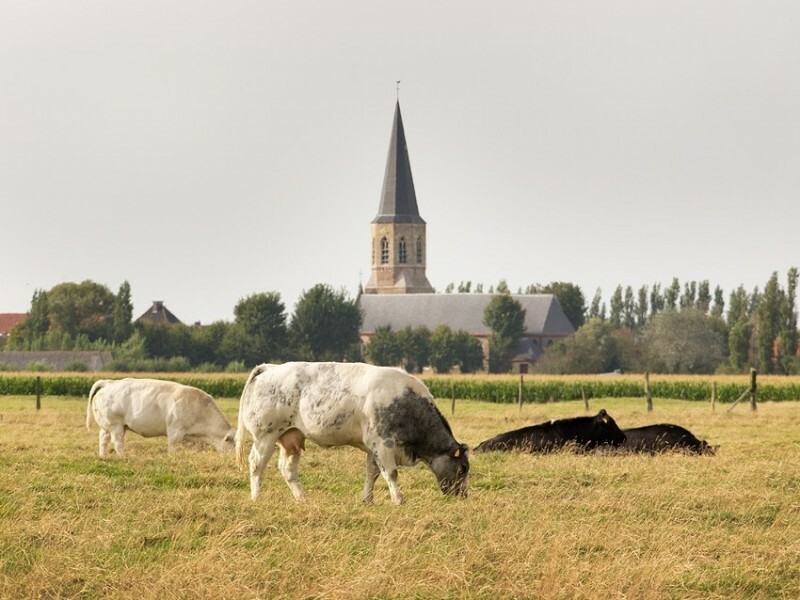 We highly recommend a visit to the small but very beautiful historic town of Damme. 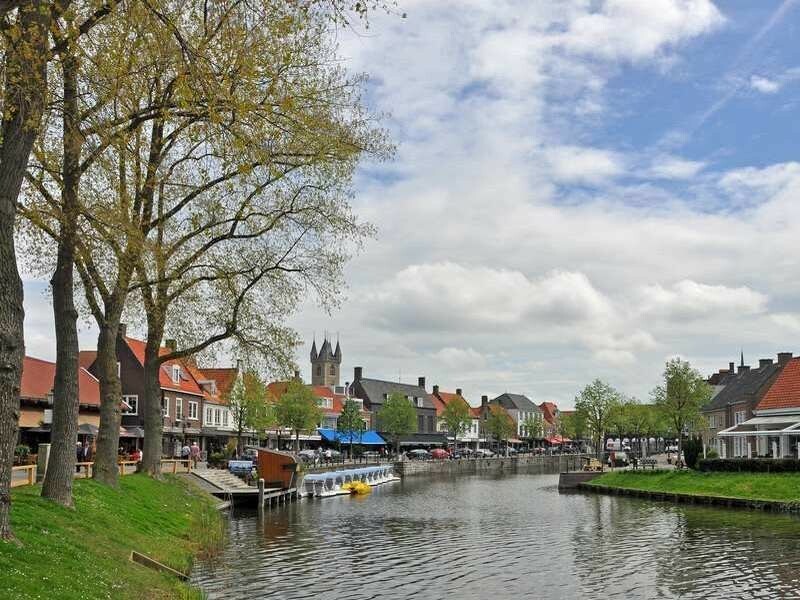 And when you’re there, walking or cycling along the idyllic Damme canal is an absolute must.